When YSL launched 7 shades in its iconic Touché Éclat last year (they’ve since added another 3 to confuse us further) I thought it was great for people with darker/lighter skin tones, but didn’t really affect me. You know the adage, if it aint broke don't fix it and I was happy with the original one (read my review here). But when I ran out of Touche last week (a week when I had major heavy duty bag by the way) I got to thinking... should I try another shade, because if I'm honest, the original touché is sometimes a touch pink for me. So the search began and I soon discovered it aint easy to discover the shade that's right for you. I started having a look for some reviews and swatches but couldn’t find much of a guide or comparison. 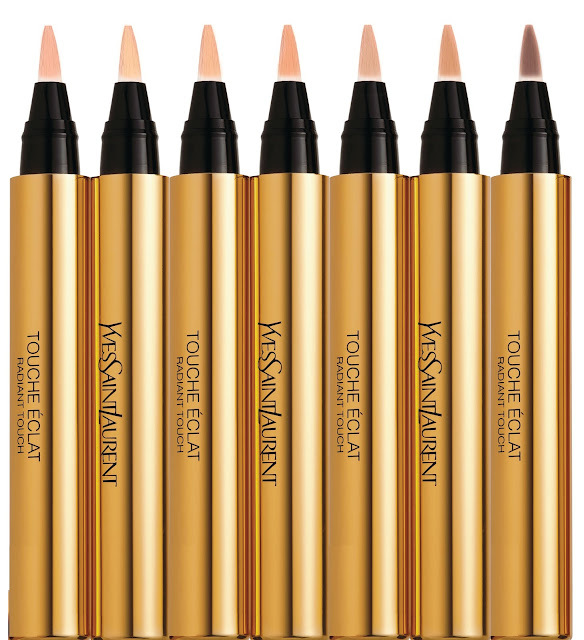 YSL has a tool on their website to match your skin tone to the right shade, which pointed me to No.5 but I felt that was too dark for my needs. Also, and this is the crucial point, if you want to use Touche for highlighting, you won't want a shade that matches your skin tone, you'll want one that's lighter. No.7 Luminous Mocha: For dark complexions. After much deliberation I opted to try No2 Luminous Ivory. I won't lie, I was nervous about my decision, I've never purchased a face product with "Ivory" in the title but I love it. I'd say it's almost perfect! Yes, it's light, lighter than I'm used to and I probably won't get away with it when I have a tan, but those yellow undertones make my bags magically disappear. 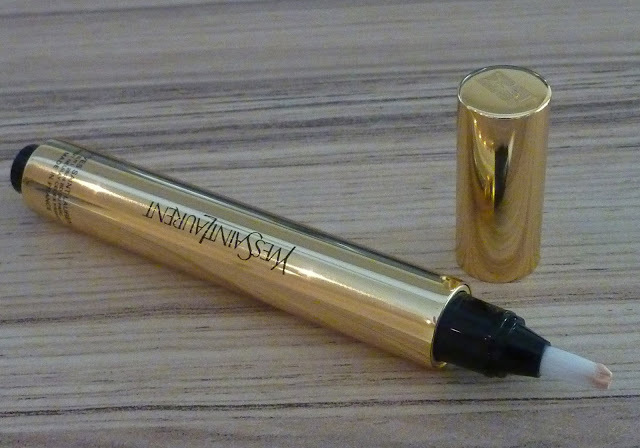 The shade blends into my skin perfectly and as you'd expect with this little gold want, it's very luminous! 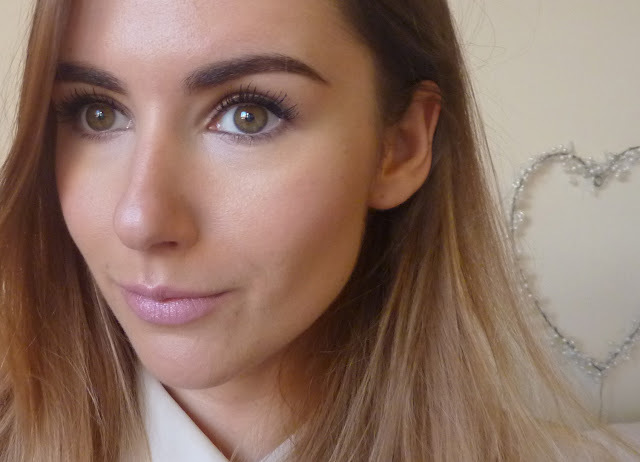 It's a fantastic highlighter and brightens my face up in an instant. 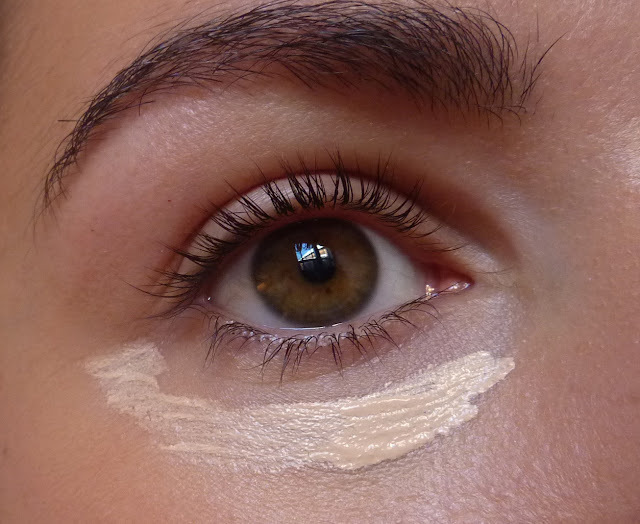 It's a great tool for contouring and highlighting. What I think really sets Touché Éclat aside from its competitors (and there are many good ones) is its durability. It lasts me all day and I don't find I have to reapply later in the day. I hope that's been helpful and makes your search for the perfect shade a touch easier (no pun intended). YSL Touché Éclat UK RRP £25, available from Cheapsmells.com from £19.99. I'm tired of winter. It's cold, it's dark, it's snowy, I'm cracking out some pastels to make me feel summery. It's another hit from Essie... Where's my Chauffeur is dope! It's such a pretty colour, yes it's similar to Mint Candy Apple, but it's darker and has more of a turquoise edge. It reminds me of the Tiffany blue. With my first few strokes I worried the formula was a little streaky but it evened itself out with two coats. It's best to apply this one with a heavier hand to get fully opaque results. 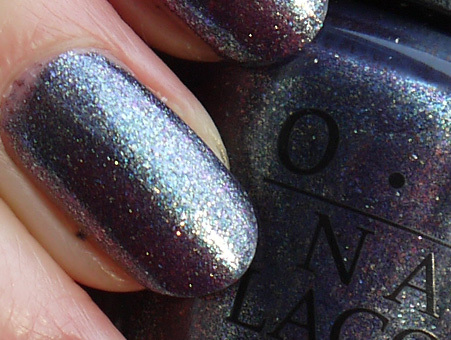 I finished off with some Leighton Denny One For All and I just love the gorgeous creme finish. I found this one in the ASOS sale, £5.99. 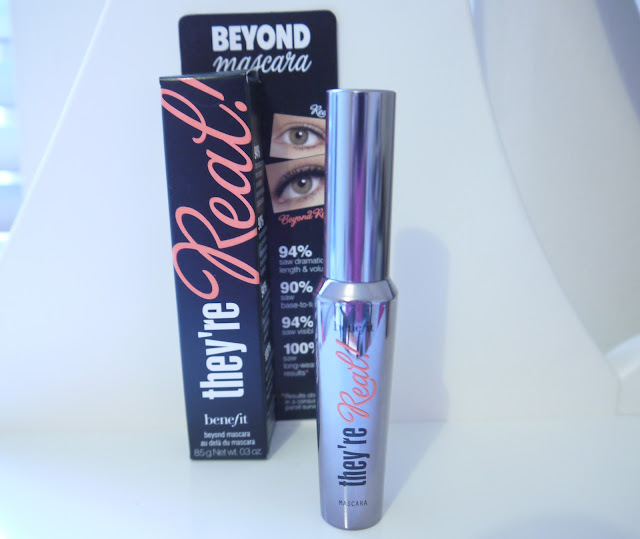 Also available from Boots and Superdrug £7.99. OMG indeed! I love it when a product takes me by surprise and this one sure did! When I received this in December’s glossybox, I wasn’t sure it was my colour. I was thrilled to see a fill size lipstick but OMG looked very red in the bullet... and I struggle with reds – they wash me out unless they have strong pink or orange running through them and OMG is definitely more of an orange shade. It’s a difficult shade to describe, a brightened orangey red is the best I best I can come up with. I can’t liken it to anything else and there’s no dupe I know of. 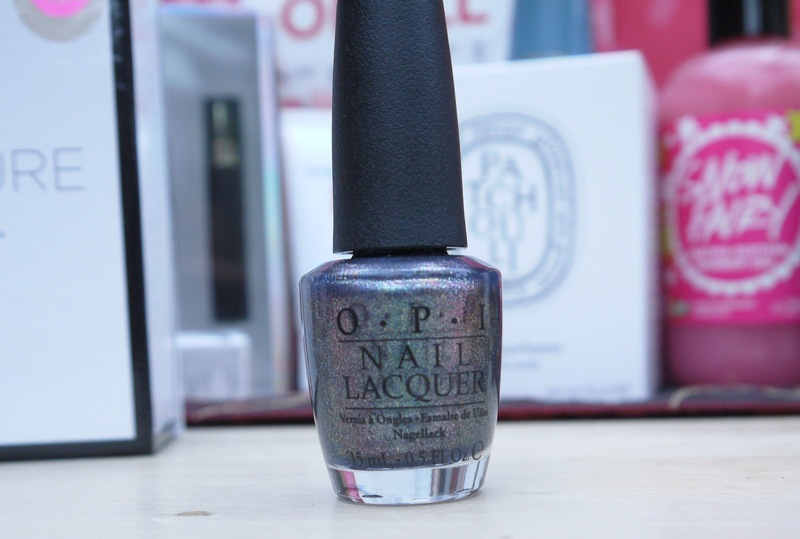 It’s a highly pigmented, vivid and super rich shade with just one coat. It glides on easily from the bullet but for neater application I’d recommend using a brush. Sleek call it a sheen finish but it’s much more than a sheen! 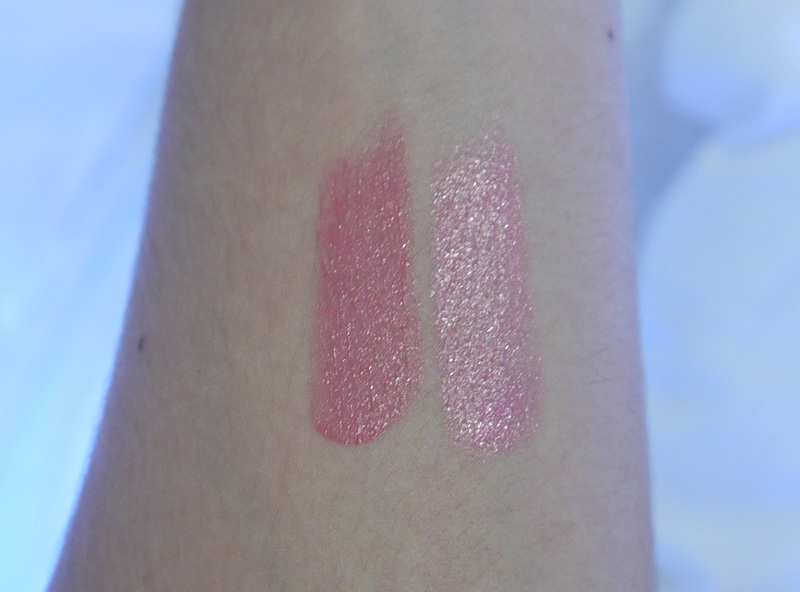 If I’m comparing it to MAC it’s somewhere between Satin and Amplified. It’s slightly creamy, moisturising and long lasting! In fact it stains the lips somewhat but I’ll forgive it that. It’s a surprisingly wearable colour I think, yes it’s more of an evening shade, but it’s bright without being overbearing. It didn’t was me out, but I’d imagine it would look even better in the summer months with some colour in my face. Overall I’m super impressed by this very affordable lippy and I’ll be heading to Sleek to check out their other shades. Sleek True Colour Lipsticks £4.99 Superdrug. Let me know what you think. Designed to strengthen and repair damaged hair. Definitely happy to see this! My hair needs all the help it can get right now and the bottle is a decent size. 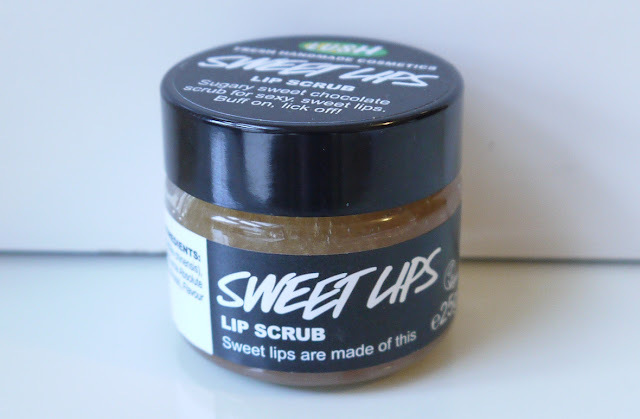 I WAS happy to see this (there's always room for another face scrub in my collection) until I realised that I was too old for it! According to Glossybox this range is designed for the teens to mid-twenties age group, oh well that's me out. Still I'll give it a go... note to Glossybox - read your customer profiles. 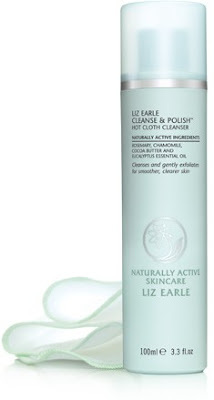 This smells nice, very aromatic BUT tiny body lotions are a bit of a pet hate of mine. 30mls aint gonna cover much of my body and it's not a squeezy bottle so you find you can't get much out. I've received a few Monu products now and I've loved them all. I'm also in need of a new face mask (just ran out of my beloved Soap and Glory Pore Refiner) but again I'm annoyed with the bottle. I've just thrown out a Monu body moisturiser in the exact same bottle because despite all the squeezing and tapping I could only get a tiny bit of the product out. Made with Bees Wax and Aloe, it's cute and useful. As is the 6th bonus gift, the Glossy dreams eye mask. Overall I'm quite happy with this box. Some good brands, decent size products and not a perfume vial in sight. I'm most excited to try the Paul Mitchell conditioner and the too young for me Elemis exfoliator. It's a shame that it's nearly all skincare though, where's the make up at? You can find out more about the Glossybox subscription service here. 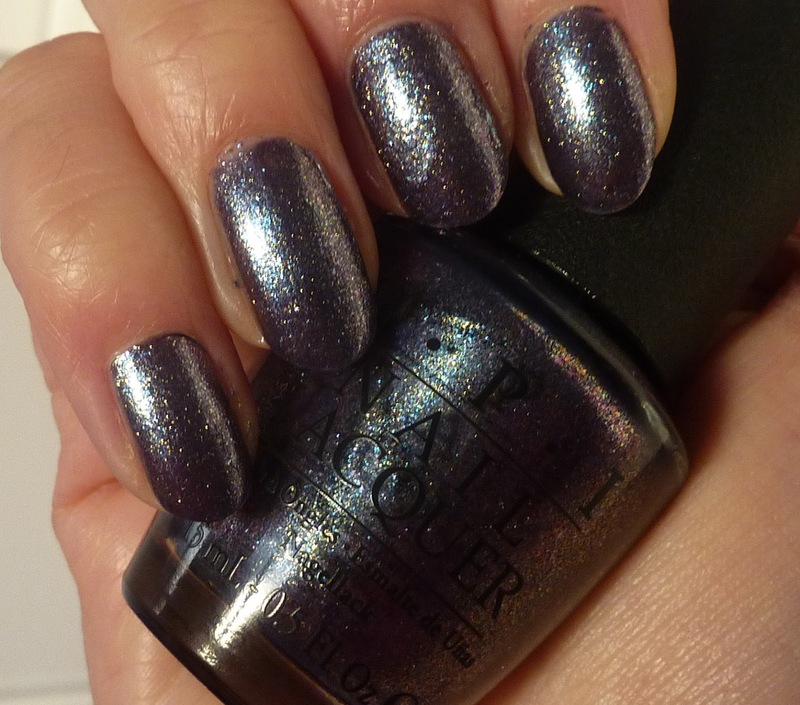 I couldn’t contain my excitement back in October when I blogged about OPI’s Skyfall collection, but I had to exercise some restraint and wait until Christmas before I got in on the action. After way too much deliberation I opted for On Her Majesty’s Secret Service. This royally wonderful shade is packed with ultra fine glitter in hues of gold, green, magenta and purple to create a gorgeous shimmering gunmetal shade with holographic finish. It’s tough to convey with the camera how gorgeous it is. It’s one of those that looks different in every light. I can’t decide if it’s more blue or grey or green, either way it’s lush! As ever with OPI application is smooth and easy thanks to their exclusive ProWide™ Brush. The formula is fairly thin but yields full coverage with three coats. It dries quick and lasts really well; three days before there was any chipping. £9.49 at Lookfantastic.com Enter code HAPPY2013 to save further 20% for a limited time. I've got no hesitation in calling this my product of the year! Since its launch in April I've been completely obsessed. Who'd have thought a little pink pot could bring so much joy. 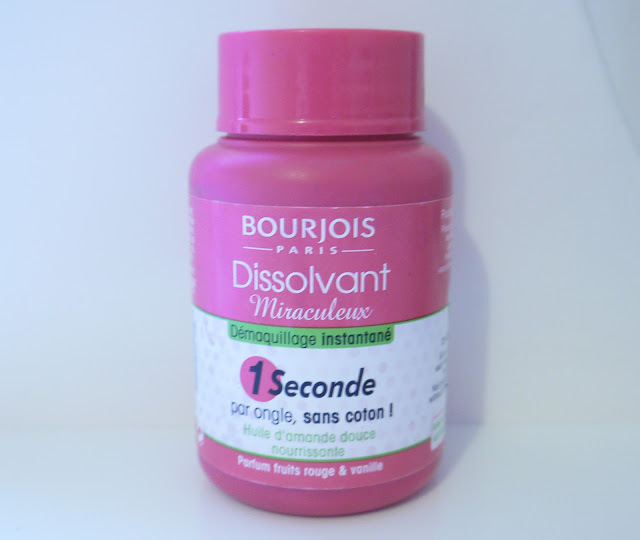 It magically removes nail polish in record time and without the need for cotton wool. 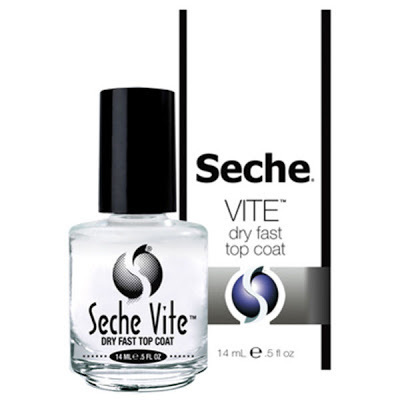 If you change your nail polish as often as you change your pants, you need this in your life. Read my full review here. 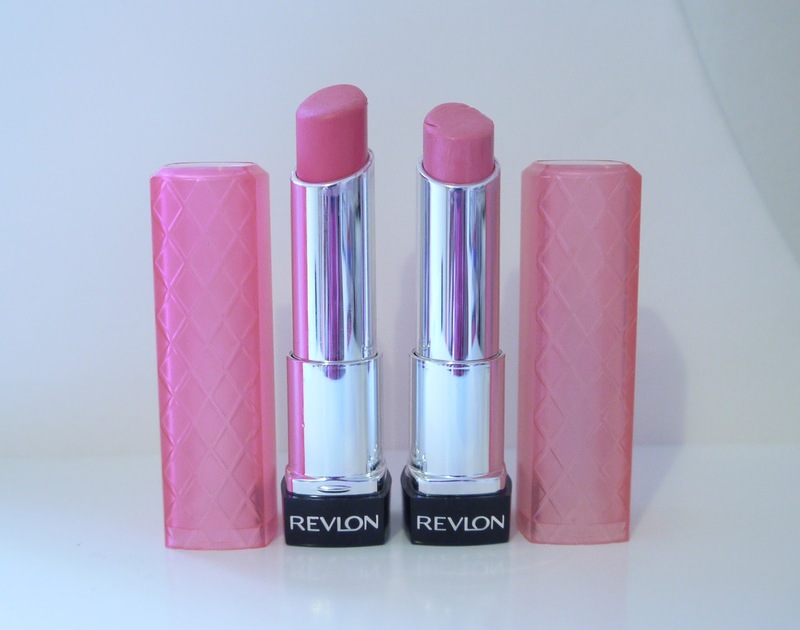 Early in 2012 the World went mad for Revlon Lip Butters. Unless you've been living under a rock you'll know all about these gems and hopefully you love them as much as I do. I'm pleased that they haven't been a flash in the pan and I think they'll be a product that stands the test of time... certainly in my collection. I've got Sweet Tart, a bright, yet delicate fushia and Strawberry Shortcake, a creamy candy pink. I'd happily have them all but I'm making myself use up some old lippies before I buy any more. Finally the beauty industry gave us top quality brushes at affordable prices, it's just a shame we had to wait until 2012. The blush brush has been my go to brush since April. I love it so much I gave one away in my first birthday giveaway. 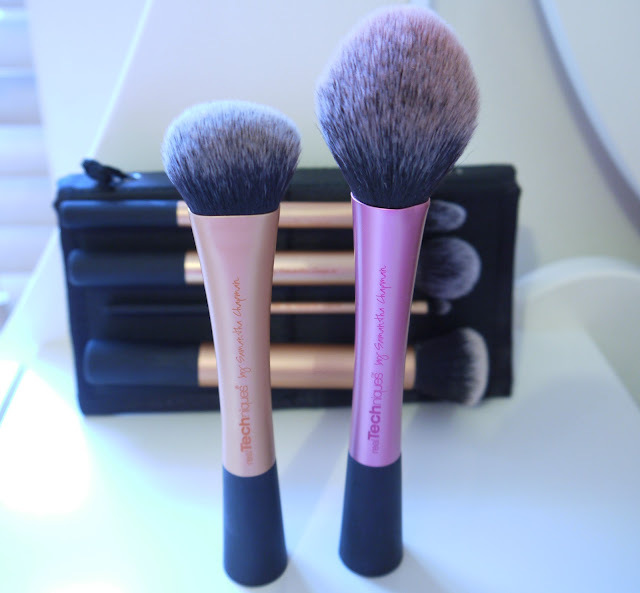 The shape, the quality, the super soft bristles, these brushes are faultless. 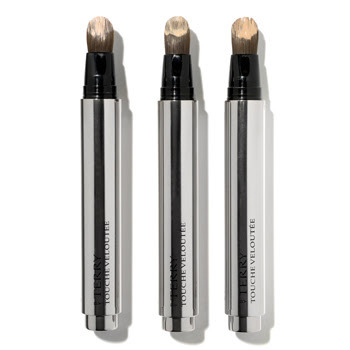 More recently I added the Expert Face brush to my collection, which is fantastic for flawless foundation application, and for Christmas my friend bought me the fabulous 4 piece Core Collection, which looks great. The Lumi Magique foundation is a Light Infusing liquid which gives luminosity to the skin to provide a perfect coverage without masking. 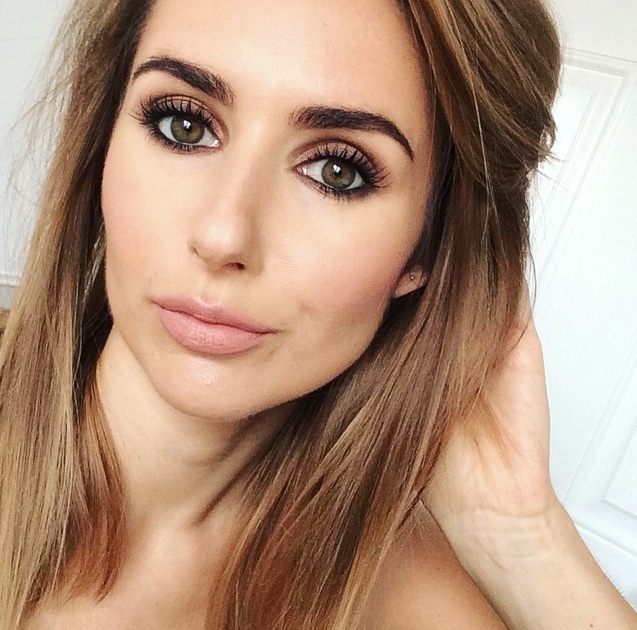 I think it's the best in its price range and works very similarly to YSL's Touche Eclat foundation diffusing light and providing luminosity (in case you're wondering, it's not on this list because it makes me skin too shiny). Find out more about the Lumi Maqique range here. OK, this one wasn't new to 2012, but it was new to me. 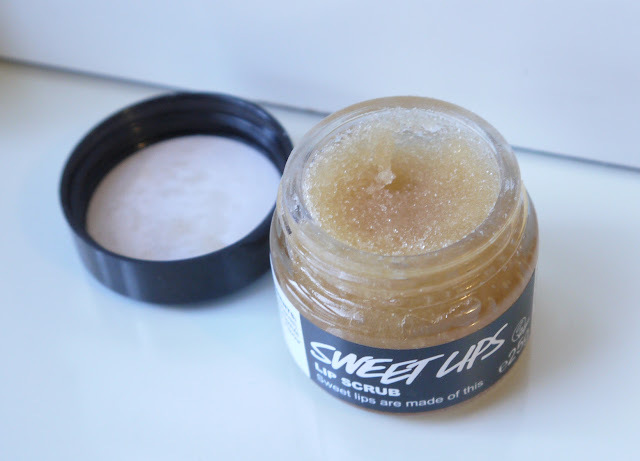 This indulgent body oil gives a gorgeous shimmery glow and I'm hooked. See my review here. This has been my go to blusher since I picked it up in Duty Free back in June and I could kick myself for not buying it sooner. 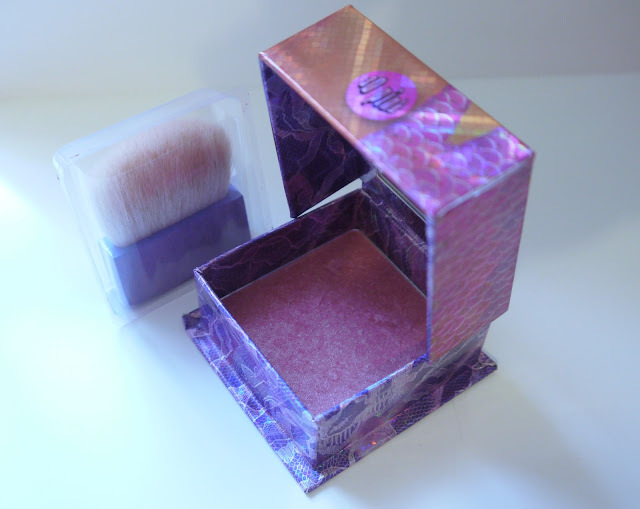 This multi-tonal blush is laced with shimmering gold undertones and creates the illusion of sculpted cheekbones. Whenever I'm feeling tired and my skin looks dull, I reach for Bella Bamba. See more pics and swatches here. I've saved the best till last. There's a reason this mascara remains the number one best selling mascara in the UK. 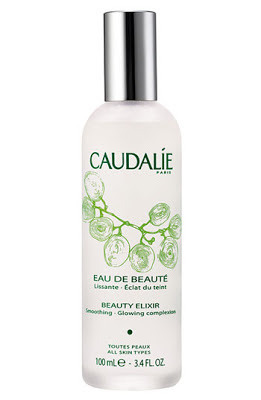 It has the WOW factor and gives va-va-VOOM results every time. It's so good, I can't wear it everyday because I look like I'm wearing falsies! 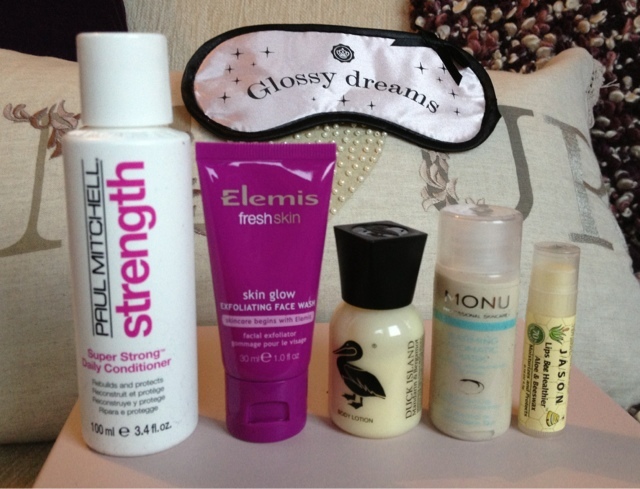 My Mum even steals it out of my overnight bag when I go home... but the results give her away! See it in action here. 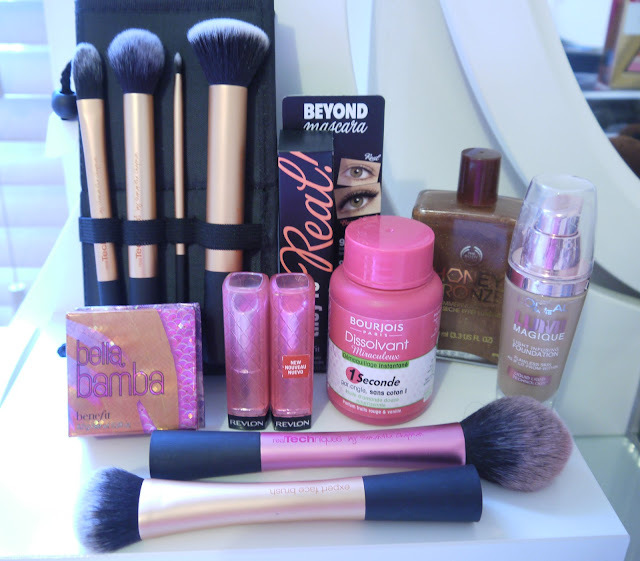 So they were my beauty highlights of the last year, what were yours?